Gorgeous marina, pool & ocean views! This beautifully-renovated 2-bedroom/2-bath condo has it all. Kitchen features granite countertops & solid wood cabinets, plus all new appliances. Both bathrooms remodeled with tumbled marble wall tile, solid wood vanities with granite sink tops. Queen bed in master bedroom, and 2 double beds in guest bedroom. All new floor tile throughout. TVs in living room & both bedrooms. 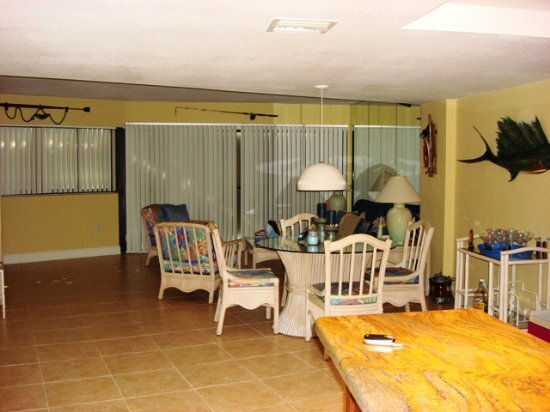 Fully equipped kitchen & well-stocked linen closet, including beach/pool towels. Washer/dryer in private laundry room. Free wireless internet! Cozy balcony for just relaxing. 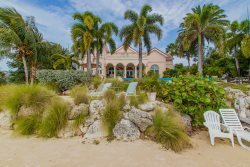 Outdoor amenities include: exclusive-use pool, tennis courts, marina with boat ramp, sandy ocean beach, fishing jetty, central saltwater swim lagoon, walking path & more. Gated community with 24/7 security. Close to everything in Key Largo, but off the beaten path at ocean's edge.